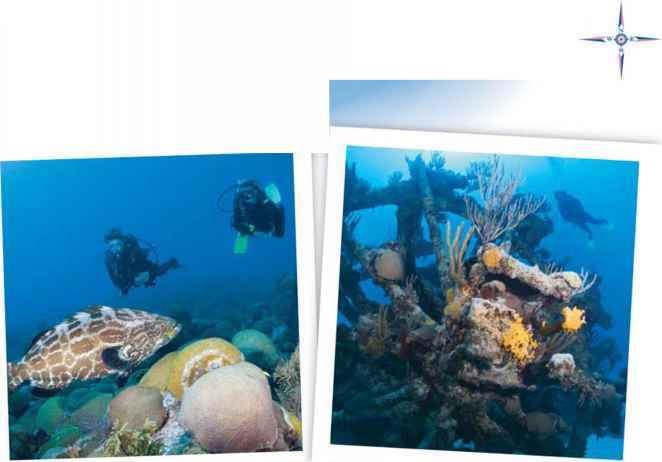 1.Roatan is famous the world over for its dolphin dives. 2.Mainland Honduras: a country of waterfalls. 3. Blacktip sharks on a Bay Islands reef. 4. Rainforest adrenaline: the Zipline Canopy Tour. Mary's Place. Spooky Channel. Roatan. Utila. Gua-naja. If you can sit in a tiki bar for ten minutes and not hear one of those places mentioned, then there probably just aren't any divers around. The Bay Islands of Honduras combine "out-of-the-way" and "accessible" in a wholly spectacular fashion.